Real Madrid reportedly continue to pursue Inter forward Mauro Icardi, and an €80m offer this summer could be enough to sign him. The 26-year-old has established himself as one of the most prolific strikers in Europe, scoring 122 goals in 210 games for the Nerazzurri, taking his career tally to 133. However, issues have emerged at the San Siro this season, as he was stripped of the captaincy last month and has not featured since due to reported injury problems. It comes amid never-ending talk of a possible contract renewal, but as of yet, nothing has been signed with Icardi’s current deal set to expire in 2021. While Karim Benzema has been in decent form this season, he will turn 32 later this year and given Real Madrid’s struggles this season, it could be time for them to start to replace some of their stalwarts and build for the long-term future. 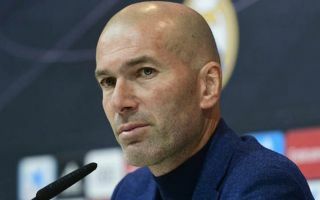 Having crashed out of the Champions League and Copa del Rey this month, coupled with the fact that they remain 12 points adrift of La Liga leaders Barcelona, an overhaul may well be needed for Zinedine Zidane to take them back to the top after his return was confirmed last week. As noted by the club’s official site, they have already confirmed the signing of Eder Militao to bolster their defence, but AS note that Icardi is now a potential priority and that a bid of €80m could be enough to prise him away from the Italian giants and take him to the Bernabeu. Despite his problems and controversy at Inter, there is no doubt that Icardi is a natural goalscorer, and having failed to properly fill the void left behind by Cristiano Ronaldo after his exit last summer, signing the Argentine international to add that prolific touch in the final third could be a very sensible move from the Spanish giants.